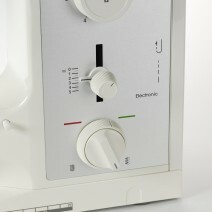 The Bernina 1008s offers 17 different stitches, including a buttonhole and two decorative stitches. 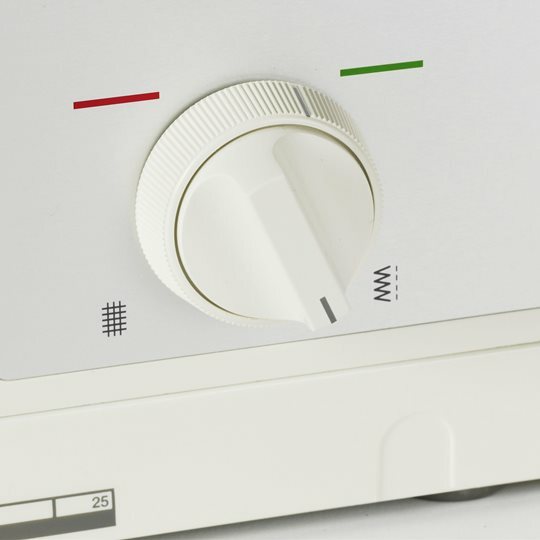 Thanks to this, and the ability to vary stitch length and width, you’ll be able to accomplish all your sewing tasks reliably and precisely. 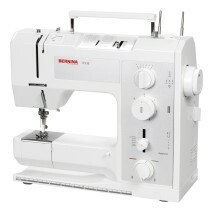 The Bernina 1008s places different straight and zigzag stitches at your fingertips – a versatile basic configuration that makes it easy for beginners, yet offers everything they could need for sewing, hemming, mending or decorative embellishment. 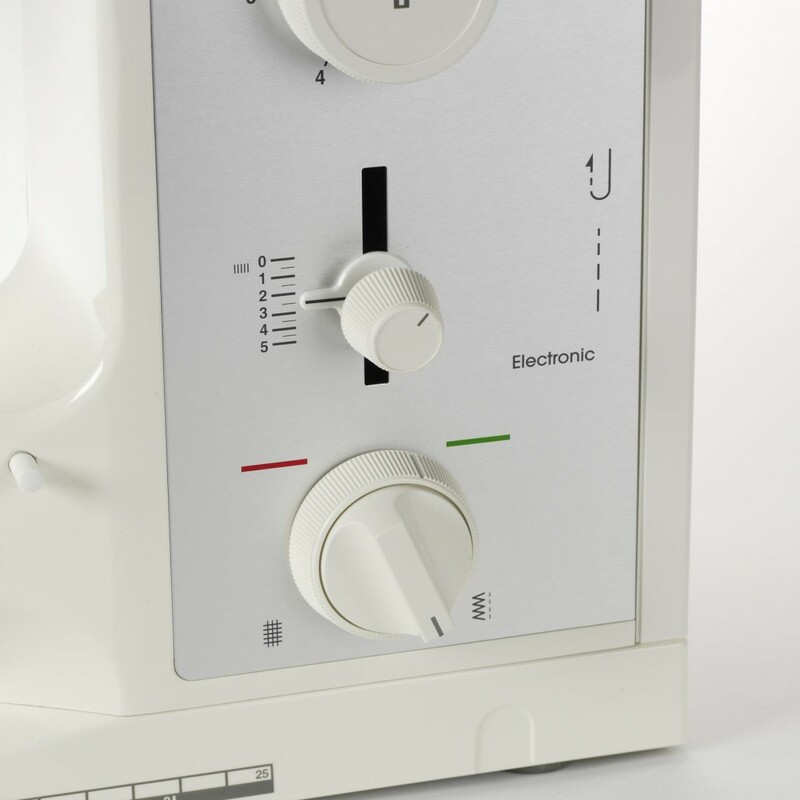 The Bernina1008s also impresses with its durability and versatility, ensuring that you’ll enjoy your sewing machine for years to come. 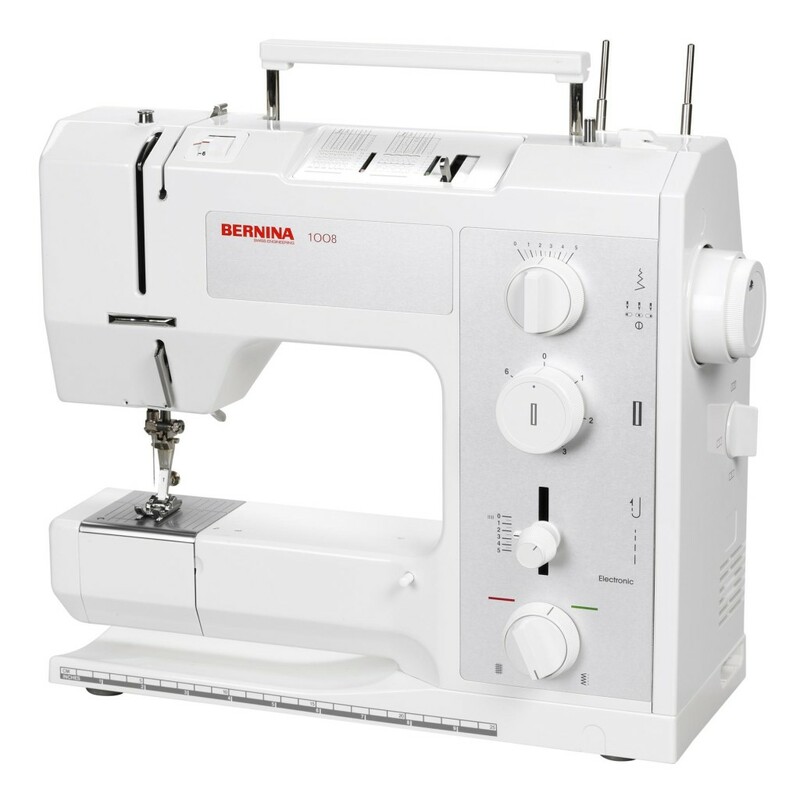 Last but not least, using a mechanical machine helps you develop an unmistakeable sixth sense for sewing, as you control all the sewing variables – all of which makes the straightforward, easy-to-handle, versatile Bernina 1008s the perfect foundation for expanding your skills. 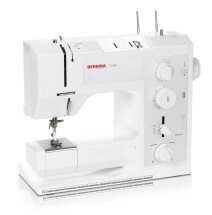 The BERNINA 1008s lets you alter stitch width and length in order to adapt the machine’s stitches to your sewing project. 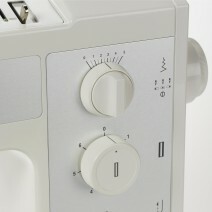 The 1008’s stitch width can be adjusted in five different steps via the control dial. Stitch length is infinitely variable with the aid of its own control, and the needle position can easily be selected by simply turning a knob. 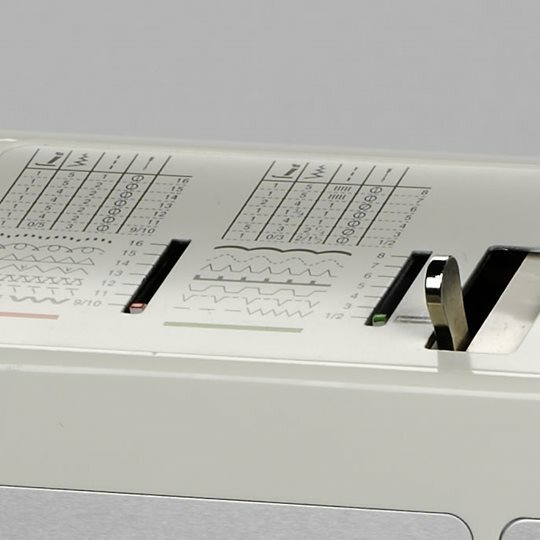 In this way, the BERNINA 1008s permits a wide range of sewing parameters allowing for ideal adjustment to the fabric you are sewing or to the effect you wish to achieve. 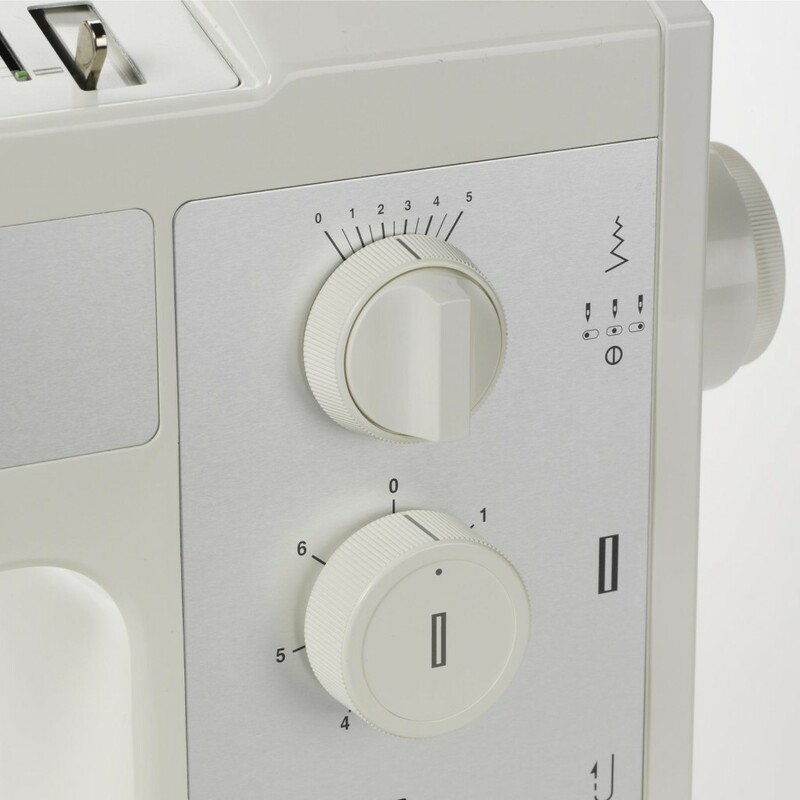 The 1008 therefore offers all the advantages of a mechanical sewing machine – state-of-the-art solid construction, ease of operation, clear stitch choice and stitch variation: a versatile mechanical sewing machine covering a multiplicity of uses, designed to bring out your creativity when you sew. 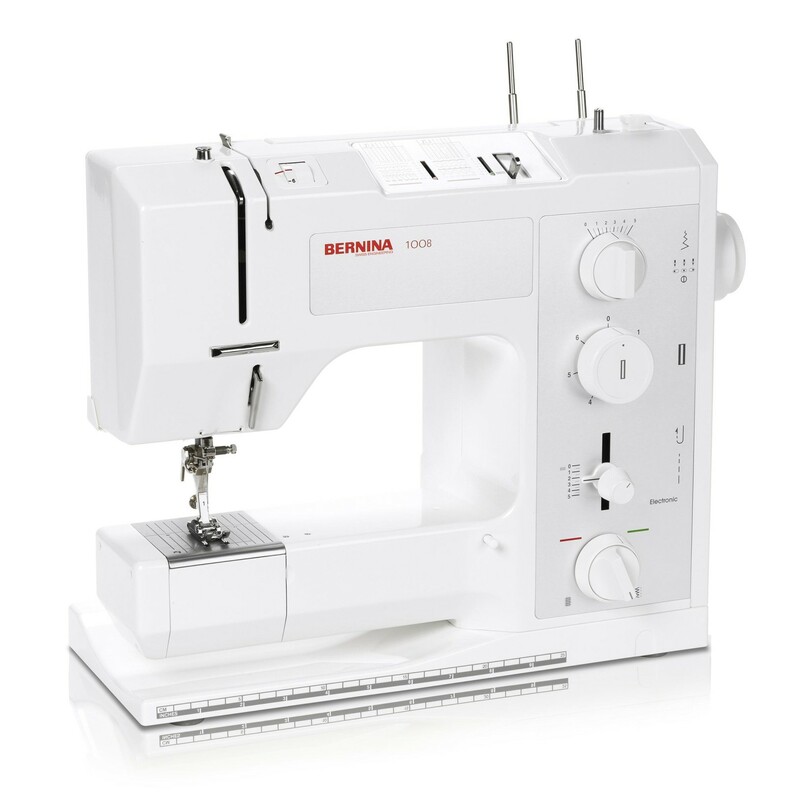 Thanks to its exceptional ease of use right down to the details, the BERNINA 1008s also shines at mending and free-motion stitching. 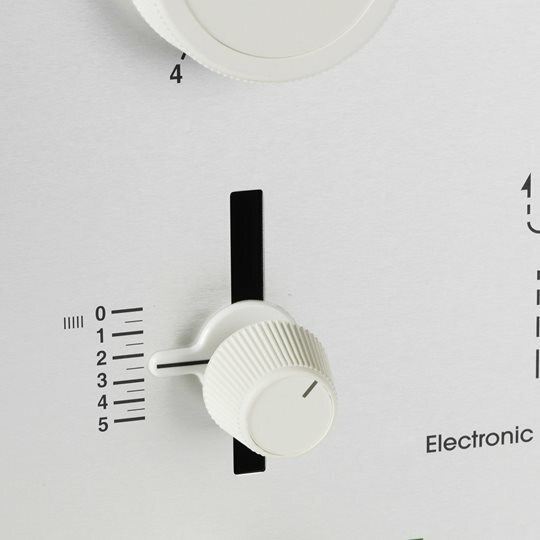 Its feed-dog can be lowered by simply turning the appropriate control dial, quickly changing the 1008s to free-motion stitching mode. 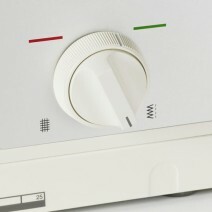 This allows you to guide the fabric freely according to your fancy, and to give your stitching whatever shape you wish. The feed-dog drop feature is particularly useful when sewing outlines, appliqués or decorative seams, or when reinforcing edges: here, the free-motion functionality of the BERNINA 1008s gives you full control over the sewing direction – ideal for sewing over pre-marked lines or outlines – as well as giving you a free hand with design. 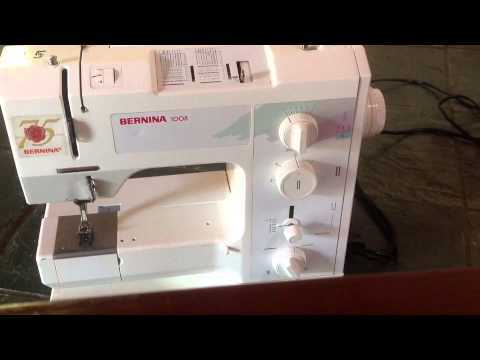 Moreover, the BERNINA 1008’s feed-dog can be reactivated just as quickly and easily with a simple turn of the control dial once you’re ready to go back to automatic feed.